You may feel that because your work is supervised by others, you do not need PI Insurance, but please consider this: Defending a claim of “negligence” usually involves seeking specialist legal advice and costs can very quickly mount up. You could expect to pay, for your own legal costs alone, $15,000 per day should the claim end up in Court. On this basis, the cost of defending a claim can very easily become a financial nightmare for the uninsured professional person. Contract Engineers have been held to be negligent even though their work was supervised by the principal by whom they were “employed”. In some of those instances the principals own PI Insurance did not protect the Contract Engineers. 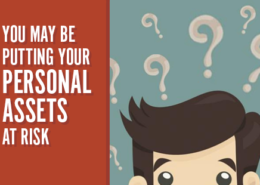 Many Government bodies, local authorities and private consulting firms now insist that the professional contractors and consultants with whom they deal carry PI Insurance. Everything a professional person does and says in the course of their business could result in a professional liability claim. In the present climate, spurious claims of negligent advice are being made with the aim of delaying the payment of professional fees. You might know that the claim is spurious, but you still may need to defend it. Remember, Civil Courts operate on the balance of probability principle, rather than the level of proof required in Criminal Courts. Professional Indemnity Insurance – Why is it important? Anyone who provides another person advice and/or services of a skillful nature according to an established discipline could be regarded as a ‘professional’. The law requires a professional to exercise their skill at an appropriate level expected of that profession. But professionals are only human and mistakes do happen. Any financial loss arising from a mistake, error or omission made by that professional may result in an award in favour of a third party. A professional may also be held to be liable for a mistake even though there was no negligence (i.e. breach of the Competition and Consumer Act). Generally a professional who is employed is covered by their employer’s Professional Indemnity cover, however appropriate and adequate PI insurance is essential for those undertaking any consulting or contracting work for which they are individually liable. 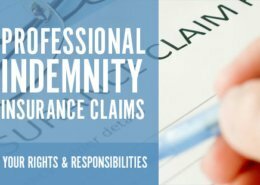 A Professional Indemnity policy is designed to protect the assets of a professional against damages awarded against them by a court, or resulting from an approved negotiated settlement, in relation to an act, error or omission committed by the professional during the conduct of their professional business activities. Importantly it also covers the costs and expenses of defending claims. In today’s litigious society, no professional should ignore the possibility that a claim may be brought against them by a disgruntled client during the course of their career. A Professional Indemnity policy offers peace of mind, allowing the professional to carry on with their normal business activities. Engineer joined in contaminated Landfill claim. Insurer defended Engineer who was not found to be at fault , however legal defence costs were $1,000,000 alone without any contribution to settlement. Defence costs were extensive and not recoverable. Design fault in a concrete slab caused the concrete to sag. Claim for rectification by the principal contractor was paid for $55,000 plus defence costs. Incorrect advice lead to Excess contribution to Super above cap creating tax liability of $80,000. ATO unable to amend notice. Incorrect reporting of a product as negative for Salmonella, then later determined as positive, product recalled, loss of business to Third Party. Incorrect advice by Food Testing Laboratory relied on by Chicken wholesaler. Anyone who gives to another person advice and/or services of a skilful character according to an established discipline might be regarded as a ‘Professional’. That means persons other than those in ‘traditional’ Professions, such as doctors and lawyers, are now considered to be Professionals, i.e. computer consultants, advertising agents, human resource consultants, engineers/architects and executive/management consultants. A Professional Indemnity policy aims to shield the Professional’s assets in the event of a claim therefore ensuring that he/she is able to carry on with their business. As every policy on the market is different it is important to compare the cover offered under each policy to ensure that your business is adequately protected. What is a ‘claims made and notified’ policy? How does it differ from an ‘occurrence’ policy? A ‘claims made and notified’ policy requires all claims and any fact, situation or circumstance that may result in a claim, to be notified to the Insurer within the Period of Insurance. 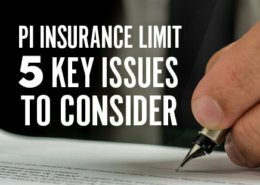 The actual mistake could occur at any time, if there is retrospective cover, or otherwise it must occur during the Period of Insurance. The Insured must not have had any prior knowledge of the fact, situation or circumstance before the Period of Insurance. In an “occurrence” wording (as for Public Liability policy wordings), the circumstance must occur during the Period of Insurance whilst the notification of this event can occur at any time subsequently. Any fact, situation or circumstance, which a reasonable person in the Insured’s professional position would have thought, might result in someone making a claim against him/her. A ‘civil liability’ wording will indemnify the Insured for claims arising from any civil award imposed by a civil court, as opposed to criminal liability or penalties enforced by a criminal court. A Civil Liability Professional Indemnity wording is broader than a ‘negligence wording’, as it will indemnify the Insured for claims arising from strict liability, where no negligence is involved. Generally before a quote can be given for Professional Indemnity Insurance, underwriters will require certain information in order to understand the Insured’s profession and all the characteristics of the Insured’s business. The information provided in the proposal either forms part, or all, of the information that an underwriter will rely upon to provide a quote. Generally each Insured is quoted individually, since one Insured’s circumstances (i.e. the type of profession, type of work performed, number of years in the profession and experience) may vary considerably from another. What does ‘costs inclusive’ excess and ‘costs exclusive’ excess mean? What is the retroactive date? What is the date of inception? If an Insured chooses to sell his/her business and retire, then ‘Run Off’ cover will indemnify them for any unknown claims arising during the Period of Run Off Insurance, arising from mistakes made whilst they were still in business. It does depend upon the Retroactive date offered with the policy. It is difficult to suggest the length of time that ‘Run Off’ cover ought to be taken out, as it depends upon the Statute of Limitations legislation applying to that particular claim. In some cases a claim can be brought in excess of 15 years after the mistake occurred. This is, in effect, a loyalty bonus. It means that if someone who was insured with a particular insurer in unbroken successive periods notifies a claim circumstance in the subsequent period which should have been notified in the earlier period, then that claim will be covered under the latter policy but subject to the lesser limit of the two applicable policies. Issues of ‘non-disclosure’ and ‘known circumstances’ exclusions will not be raised, however prejudice due to delayed notification may be taken into account in the adjustment of the claim. What is meant by a ‘known circumstance’?